» Part of pot tax is … secret? Part of pot tax is … secret? 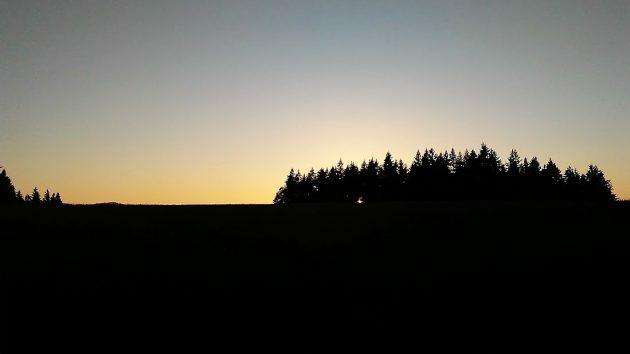 A sunset in Benton County, which got about $190,000 in the state’s first marijuana tax distribution. Considering that the tax revenue from legal marijuana was an issue in last year’s local campaigns, you’d think the amount collected from local taxes would be of great and consuming interest. But this information remains hidden so far. As reported last week, the Oregon Department of Revenue made its first distributions of marijuana tax income to local jurisdictions, and Albany received a little more than $185,000. Albany Finance Director Stewart Taylor told me the city got no breakdown of how much if any of that sum came from the local 3 percent tax on recreational marijuana sales and how much from the state’s 17 percent tax. Apparently not, however, as I mentioned. There’s something else odd about this first distribution, as I discovered when Krawczyk provided the amounts sent to other mid-valley governments I asked her about. Remember that pot taxes are distributed to cities based on population and, after a certain date, the number of licensees. The allocation to Corvallis was about $176,000. But Corvallis has a bigger population than Albany and allowed recreational marijuana sales sooner. So why would Corvallis get less marijuana tax than Albany? If somebody knows, I hope they’ll pass it on. Linn County, by the way, received about $243,000 in marijuana taxes in the first go-around. Benton County got $190,000. The city of Lebanon received about $50,000, and Sweet Home $27,000. …to say nothing of the new levy to pay for the school, fire, and police bonds that were passed. And now they’re asking us to approve a “public safety” levy. When will it end? I agree. Safety is overrated. Other than the initial regulatory costs and occasional regulatory tweakings associated with city and county codes, local governmental agencies have little or no cost in the collection of this “easy money.” Perhaps the folks at the County Commission or at City Hall could spend some of the cannabis cash to investigate why ODOR feels a need for confidentiality. It begs the question: Is ODOR withholding Oregonians’ hard-paid pot taxes for unexplained reasons, or are the ODOR accountants simply too stoned, unable to do the math. Keep digging, Hasso. This story’s got legs. Confidentiality? Maybe it’s related to security problems and the overall creepiness caused by the industry being unable to use normal banking channels. Really stupid. Blame this one on various people in the Federal Govt. who want to keep the cannabis-criminality connection as a self-fulfilling prophecy. Jeff Sessions? The failed drug czar appointee who would rather have people on opioids? I’m sure there are plenty of Dems also responsible. Whose confidentiality is Joy trying to protect? If Joy is trying to protect the confidentiality of the City of Albany, then Stewart needs to call Joy and release her from this perceived obligation. A simple phone call from Stewart to Joy can accomplish this. If this “story’s got legs”, look at City Hall first. Seems to me this story does have legs….long, muscular, bike ridin’ legs. Go Hasso, Go! Why does a county that fought tooth and nail to deny the voters’ direction receive more $$ than the neighboring county that is more populated? Up is down, down is up. Linn County has substantially more population than Benton and therefore gets more of any tax distributed based on population, as the state marijuana sales tax is. Seems like Linn County shouldn’t get any money for banning sales. Linn County does not ban sales. County voters rejected a ban on recreational pot in the 2016 general election. oh, my mistake, thanks for the reply.